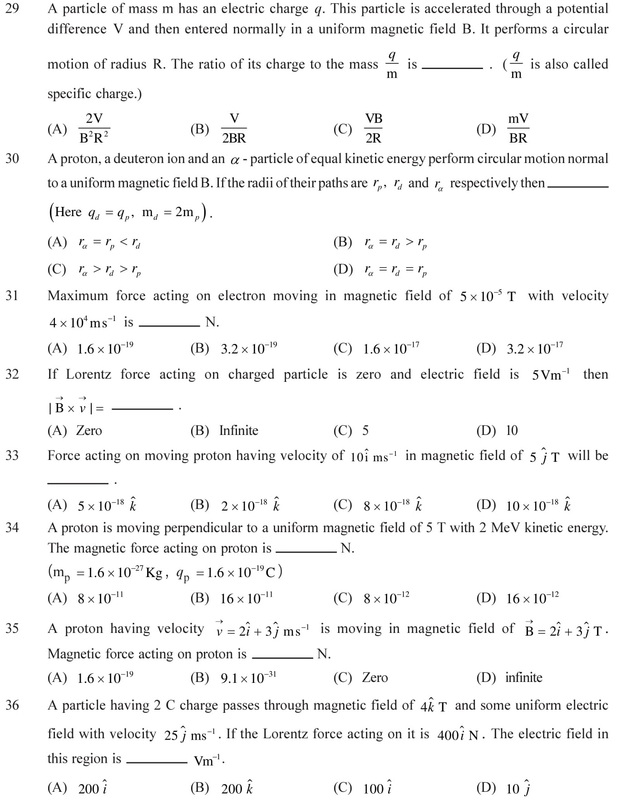 NCERT Solutions for Class 12 Physics Chapter 4 Moving Charges & Mag. 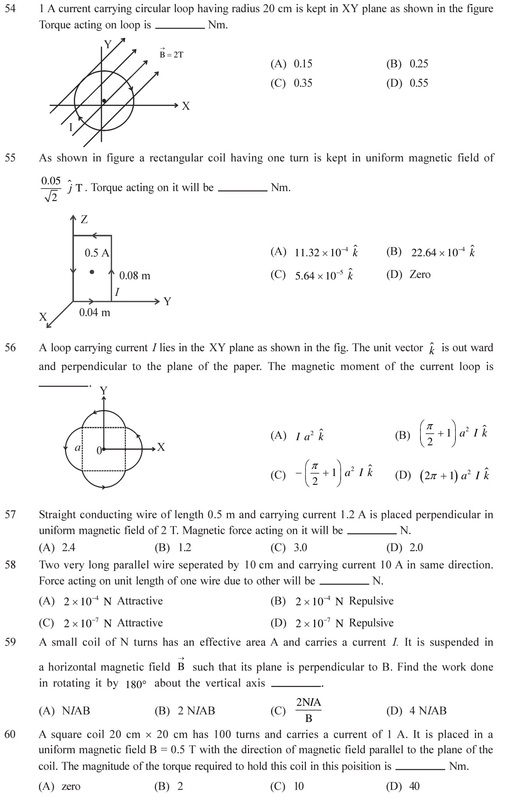 NCERT Solutions for Class 12 Physics Chapter 4 Moving Charges and Magnetism in PDF form based on English Medium NCERT Books for CBSE, UP Board, MP Board and other board using NCERT Textbooks. 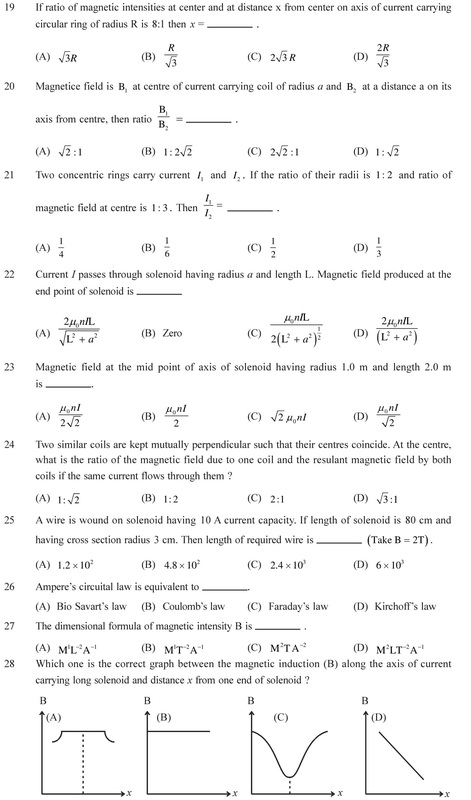 Download NCERT Solutions for Class 12 Physics Chapter 4 Moving Charges and Magnetism in PDF form with the links given below. Following are the MCQs for the NEET, AIIMS, JEE Mains and advance and other medical and non-medical entrance exams. 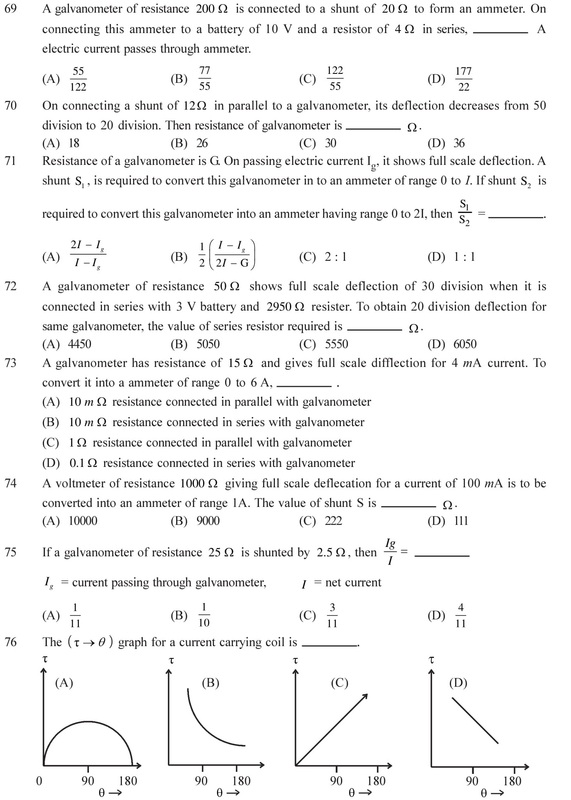 Answers of each question are given at the end of the page. Questions are given topic wise, so select topic to get proper practice. 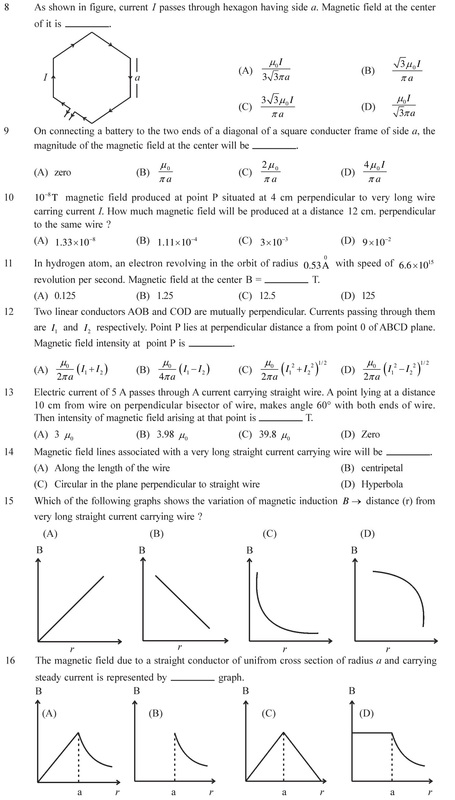 Biot-Savart’s law and the questions based on this law, Calculation of magnetic field due to an infinite long wire, circular wire, etc. See Answers. 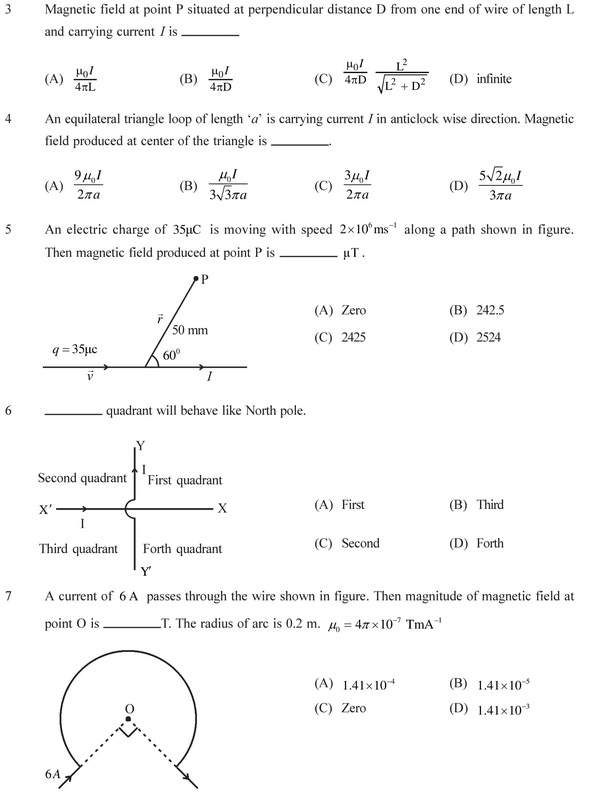 Ampere’s Circuital law, magnetic field inside a conductor at a particular distance, magnetic field inside and outside a solenoid and in a toroid also. See Answers. 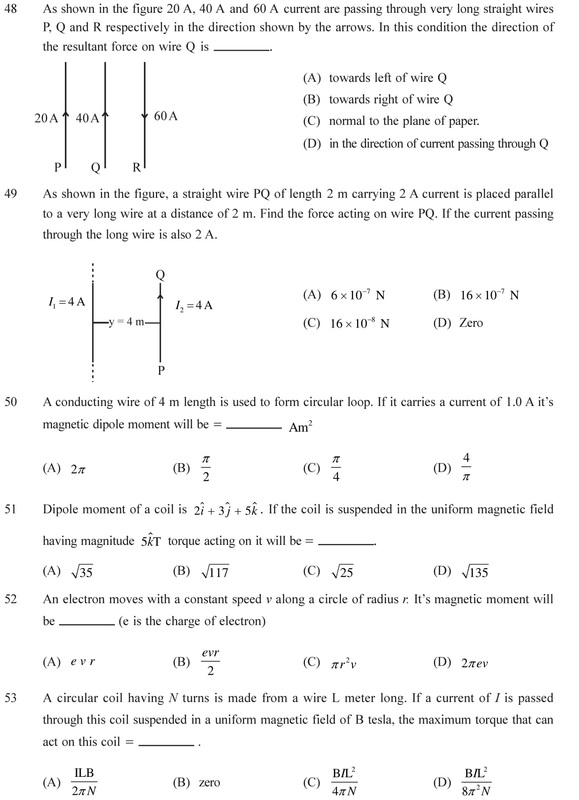 Force on a charge particle moving in a magnetic field. 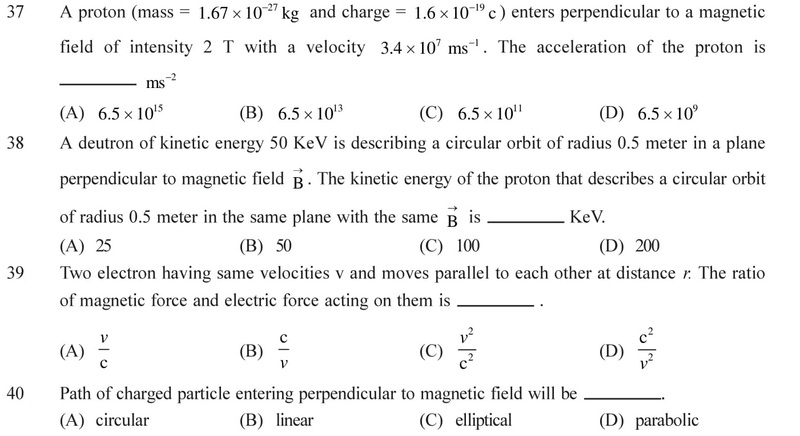 Lorentz force on a moving charge particle as well as stationary particle. Wording principle of Cyclotron and energy of moving particle. See Answers. 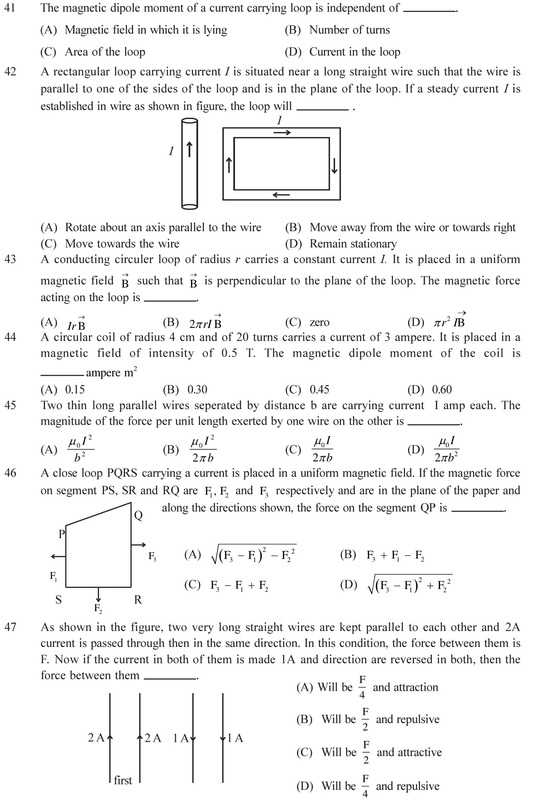 Force on a current carrying conductor, parallel conductor , when the current is in the same direction, when the current is in opposite direction. Torque on current carrying loop. See Answers. Wording principle of Galvanometer, conversion of a galvanometer into ammeter, conversion of a galvanometer into voltmeter, current sensitivity and voltage sensitivity. See Answers. If you need more questions for practice, please Click here. 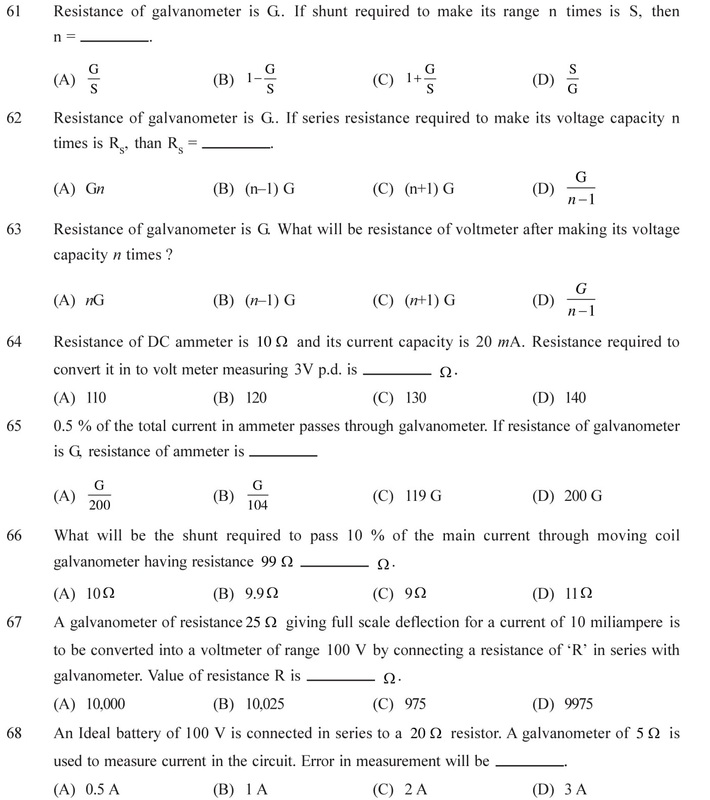 1 (C), 2 (B), 3 (C), 4 (A), 5 (C) 6 (B), 7 (B), 8 (B), 9 (A), 10 (A), 11 (C), 12 (C), 13 (B), 14 (C), 15 (B), 16 (A), 17 (C), 18 (B), 19 (A), 20 (C), 21 (B), 22 (C), 23 (D), 24 (A), 25 (C), 26 (A), 27 (B), 28 (A), 29 (A), 30 (A), 31 (B), 32 (C), 33 (C), 34 (D), 35 (C), 36 (C), 37 (A), 38 (C), 39 (C), 40 (A), 41 (A), 42 (C), 43 (C), 44 (B), 45 (B), 46 (D), 47 (A), 48 (A), 49 (B), 50 (D), 51 (B), 52 (B), 53 (C), 54 (B), 55 (C), 56 (B), 57 (B), 58 (A), 59 (B), 60 (B), 61 (C), 62 (B), 63 (A), 64 (D), 65 (A), 66 (D), 67 (D), 68 (B), 69 (A), 70 (A), 71 (A) 72 (A), 73 (A), 74 (D), 75 (A), 76 (A).